What Makes A Real Estate Expert? 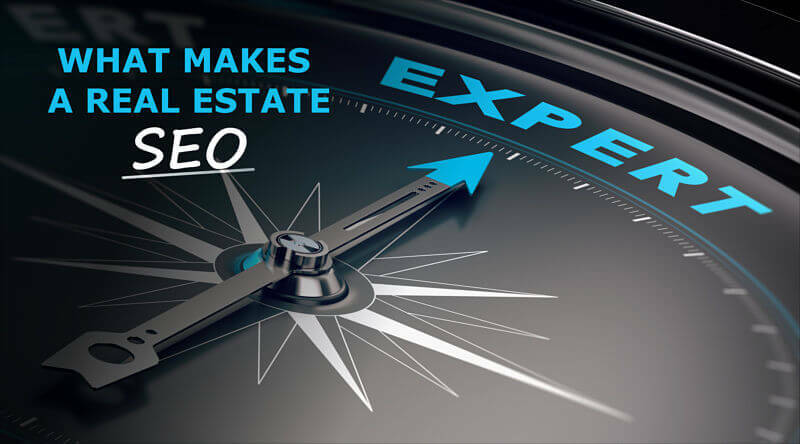 What Makes a Real Estate SEO Expert? May 20, 2017 SEOBy DEANknows! What Does It Take To Be a Real Estate SEO Expert? Many people and companies claim to be experts in real estate SEO. Truth is most website designers, regardless of real estate or not, do not truly do any SEO Services. Many people are under the impression that when they pay to have a website created for them, that somehow that includes having that site rank and produce. Truth is, website design and SEO are two totally different skill-sets, very seldom done well by the same person or company. There are many great real estate website developers out there as well as real estate SEO experts…they just very seldom are the same people. Read our story “Does your real estate website include SEO“. In addition to most web developers NOT being very strong in SEO, most SEO real estate SEO experts generally don’t do that well with real estate SEO and in many instances, stay away from it. What Is Different About Real Estate SEO? Just to state a few. With any major search term having the top 5 on page 1 of Google dominated by Zillow, Trulia, Realtor.com, Movoto and at least one major realty franchise site, that only leaves room for 5 spots on page one of Google. That creates an entirely different level of complexity when your target shrinks from 10 spots on page one to 5. This requires the specialty of a true real estate SEO expert. One major differentiation between standard SEO experts and someone who specializes in real estate SEO is the understanding of how to maximize the SEO of IDX listings. In real estate uniquely, its good to know that the person handling your website is an IDX consultant. 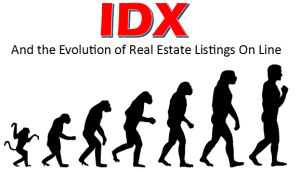 IDX (Internet Data Exchange) is a RETS data feed from the local MLS containing all of the active property listings. In some instances, IDX feeds will include more than just Active listings, but for the sake of this article, lets stick with Active Only. These property listings are usually displayed by an IDX vendor such as IDX Broker or Diverse Solutions. As a general rule, it is too complex and too expensive to attempt to download the raw listing data and format it for display on a one off basis. The SEO aspect of the implementation of IDX listings on a real estate website come into play since all real estate brokers and agents with direct access to the local MLS listing database are displaying the same information. Even a novice at Search Engine Marketing will tell you that duplicate content is not a good thing for search engine results. A true real estate SEO expert will understand the intricacies of how each platform delivers IDX listings and understand how to format those listings so they maximize the ranking efforts of the real estate website. Each of these search phrases will have a different number of monthly searches. Each of the above keywords will have a different set of competition. 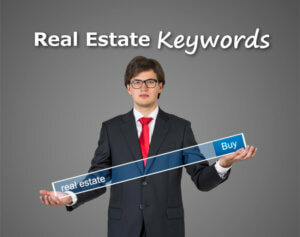 Coming up with your specific set of real estate keywords takes time and a methodical approach. For more details, read our article on real estate keywords. Although its great to have agent reviews all over the internet, its critical to know how to maximize these reviews to gain search engine traffic to your website. Most SEO gurus are familiar with citations for local SEO and reviews, but just as you would have thought….real estate is a little different. Each review scenario has a set of real estate SEO best practices that should be implemented. For many REALTORS, lead generation is the entire purpose for having a web presence at all. A real estate search engine optimization expert would say that although its a major part, it shouldn’t be the entire purpose. True SEO has many monetary benefits such as branding, exposure and the ability to get your value proposition in front of a larger audience. Maximizing a website for conversion is standard for most SEO companies. Real estate is a little different. For a real estate site, capture is simply acquiring the users personal information: name, phone number, e-mail address. Conversion on the other hand, is turning that lead into a buyer or seller. This is because real estate is a long sales cycle. It takes an average seller 18 months from the “thinking about selling” to actually signing a listing agreement. That is substantially longer than in most industries. For that reason, leads must be incubated over a long period of time if you intend on turning those “captured” leads into sales. 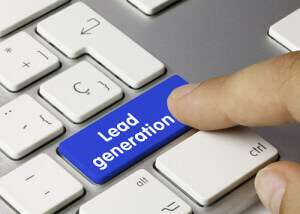 Although we will provide some basics on lead generation below, we have a full article The real estate sales cycle — there is no shortage of leads, just a shortage of conversion. All of these are designed to have the home buyer put in their information. 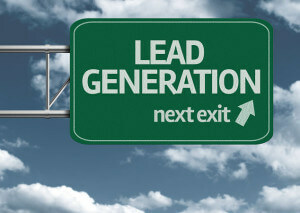 The challenge is with buyer leads for real estate is most buyers become leads from MANY websites. This means you better do something special to stand out. In addition, many people who end up being a buyer lead, ultimately may not be able to purchase a home. Lastly, some REALTORS would rather have a seller than a buyer. If that is the case, why focus your marketing and resources on generating buyer leads? Seller leads have always been the holy grail of real estate marketing. Although in the past, they were harder to get. Today, we have new and innovative ways to get seller leads. The current process for getting seller leads is to offer a FREE home valuation. This has been done for decades but today, has new levels of success. With AVMs (automated valuation models) coupled with targeted Facebook marketing, you can easily generate hundreds of seller leads each month. All of these potential clients are first qualified by the fact that they saw the Facebook Ad. That means that you created a custom audience on Facebook, most likely targeting home owners in a particular area. Second, they clicked on the ad, which means they have some interest in getting their home’s current value. This leads us to believe that they have already started down that sales cycle for selling a home. Then is the critical follow up. Keep in mind, with the real estate sales cycle being 18 months, you are building a pipeline. You may get a potential home seller 4 months into their process, which statistically saying they will convert to a seller in one year. At the end of 12-18 months of generating hundreds of potential seller leads, you should start reaping major benefits with those sellers starting to contact you to list their house. To be a real estate SEO guru takes a full understanding of not only a high level SEO, but the real estate industry as a whole. The practice of real estate is unique and has unique aspects to the success of any marketing campaign. Although there are many great SEO companies out there, we strongly recommend using a true SEO expert for the best results. Want To Instantly Check Your Real Estate Website’s SEO? DEAN Knows offers a FAST & FREE Website SEO Audit. Click HERE to Instantly assess the quality of your existing SEO for YOUR website. Dean Cacioppo is the owner of DEAN Knows which specializes in real estate SEO. Leaning on decades of experience from being a multi-million dollar producing REALTOR, to the “tech guy” for one of the largest real estate brands in the country, to real estate broker to owning DEAN Knows, Dean now brings enterprise level Digital Marketing to small and medium sized real estate brokers. In addition, as an IDX expert, Dean has been President of one of the largest MLS’s in the country and sat on numerous technology boards and “big broker think tank groups” in addition to building custom broker technology tools and services.